You are here: Home / giveaway / Kinley Lane Designs Giveaway! 1. 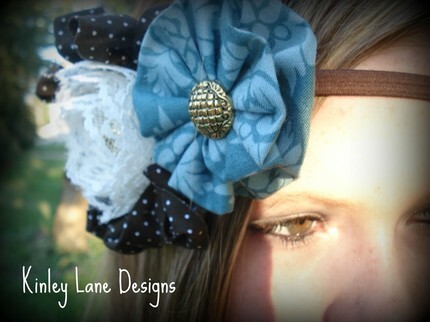 Head on over to Kinley Lane Designs' etsy store and check out her shop! Leave a comment telling us your favorite item. 2. 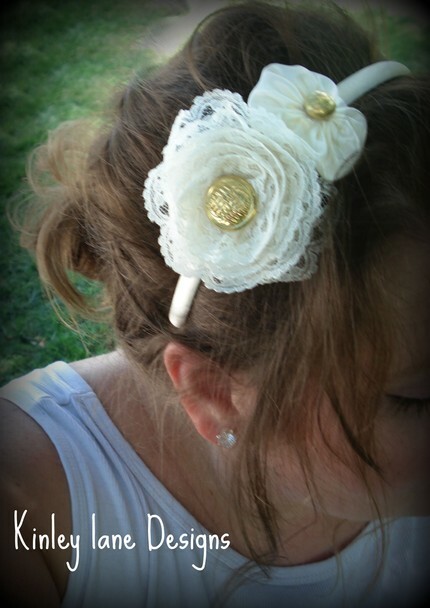 "Like" Kinley Lane Designs on Facebook. 3. Follow KinleyLane on Twitter. 4. Become a follower of the Kinley Lane Designs blog. That's it!! This giveaway will close at midnight on Monday, August 23rd. Random.org will select a winner to be announced on Tuesday! Best of luck! PS I am leaving today for our family reunion! I will still post here and there, but today I am a guest author at The Scrap Shoppe. Come check it out! I *like* kinley lane on fb. I love the : "Mod Maddie" Headband. SO cute! I agree that cream and sugar bridal band is too cute! I like the black tie affair headband and the sugar and cream bridal band. Cute! I like Kinley lane on facebook! My favorite is the cranberry orange headband. I just liked Kinley Lane on facebook. Oh how I love a flower headband. Mine would have to be the Mod Maddie. Love it! I LOVE the cranberry and orange headband! I follow Kinley Lane through blogger. I LOVE the Mod Maddie headband- sooo cute! I "like" Kinley Lane on Facebook! I'm following Kinley Lane on Twitter. I'm a follower of the Kinley Lane blog! How about the Tea with Alice headband? Cute headband and cute name! i <3 the Cream and Vanilla Hair piece!! I follow Kinley Lane on Twitter, follow Kinley Lane's blog, and Like on facebook. The bye bye birdie headband is my favorite. I love the Bye Birdie Headband. I love the vintage dots and lace headband. My favorite is the cream and sugar bridal band. Ooh, my favorite is the cream and sugar bridal band. So pretty! Wow she is so talented! I love the cream and vanilla hair piece!